Google-Ads are actually a platform for every website or brand to advertise and promote themselves. So as to increase their businesses through CTR (click-through-rate). By putting a short demonstration of the product in the form of text/image/video or a combination of all. 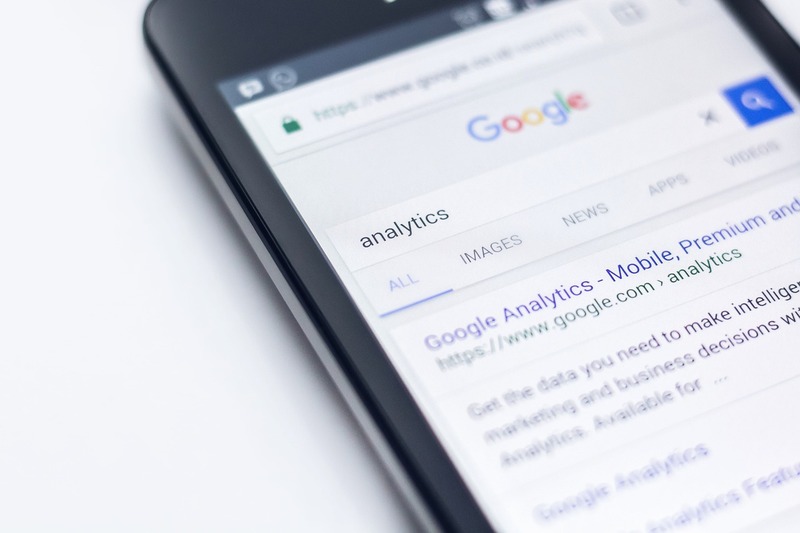 Website owners prefer Google-Ads for two reasons usually, either to further expand the business or just to be a brand by maintaining themselves in the first position. Apparently, the reason for expansion is more usual but we also can’t neglect the latter one. There are numerous popular brands who do not require any such support but still are paying a lump amount on Google-Ads, just to remain in the top and occupying an image being on the first page. Reportedly, it is the largest source of revenue for Google, as it counts for over $90 billion annually and increasing every year. Despite being a tech-thing, you will be finding some sociological terms like ‘misconceptions, human nature’ in this article. There are plenty of speculations regarding Google-Ads and its relationship with SERP. Many out there are envisaging in a way that Google helps its advertisers and rank their results higher just because they have paid some amount to Google. Google might have felt like a person who is expected to answer on this but, not getting bothered from an outsider, Google has continued its work. However, the observers reportedly had tried to clarify this misconception stating,” the organic ranking of a page is not deliberately raised up because of their Google-Ad. Whereas, Google-Ads implicitly helps in SERP in a psychological manner. It results in increasing the interaction with the public which brings that page up from its previous position. How Google-Ads implicitly help in Organic search? When you pitch for the Google-Ads, thousands of searchers would surely find your result on the first page. A few of them would probably click on your advertisement too. And a few out of those few ones would also feedback their experience, and at least one would convert into a lead lately. The main point of the context is, not the clicks that we got on our advertised link, but the further actions performed on our websites such as feedbacks and comments are helping in organic uplift of that page. A click on a page is a fruit from Google-Ads, but further involvement with your website/page is all because of your content and services are worthy of it. Conclusively, the reviews and actions performed by a user on our website help in organic popularity. No matter if they have come through the advertised link. Since we have paid for it, we would be getting our results in the top in return. But how it helps in organic search results, is a bit internal thing to understand. Another hidden benefit of having a Google-Ad comes out when you already are doing good in organic results. As having both the Ad & Ad-free(organic) result on the first page psychologically creates an image for your brand. It somehow convinces a searcher to go with your website/brand. Survey reveals that, if 1000 users searched for a keyword, over which your ad is running in, and simultaneously your SEO/organic result is at the same page, a user would prefer to go with your brand over the others. Moreover, the ad-free results are clicked comparatively more than an advertised one by a searcher when he finds both on the same page. This psychology of, ‘Not clicking the ad-result but the ad-free one’ help in raising the organic rank. This is an intensely observed fact of user experience and reactions on the Internet, therefore, to be implemented wisely with an adequate expense. Another fact says that ‘being known to the public is better than being a newcomer’. As far as getting into the first page is concerned, people would prefer to choose the one which they have heard of or seen before. Once you have advertised through it, your results might not get you the leads on this very first chance but will surely make you acquainted to the public this time. The next time you will be there on the first page, there will be a higher probability to get a lead this time because you are an acquainted face now. Suppose, you are rendering a number of services and any one of them is not in demand anymore. Undoubtedly, you would like to raise that service up again and bring it back to the competition. Therefore, Google-ads serves a PPC (pay-per-click) platform which could help you in keeping your service from being an outsider by creating a small competition for it. It’ll be a ‘do for it or let it die’ technique, which would require proper awareness regarding the market and a will to do so. How? Suppose, your website is doing good in SERP, and you are expecting the same for a particular keyword (service) of yours which is not in competition anymore. For that, you just need to stand on the PPC (pay-per-click) platform and wisely bid on your less performing keyword. You would also get a cheaper bid for a non-competing keyword, which is a benefit of being a non-competitor itself. And by the time you would be getting clicks on your keyword, your competitors would realize someday that the keyword is ranking high, as a result of which, they would also start bidding on that same keyword. Eventually, the keyword will get competition and your website (or a page), on the other hand, would rise high on SERP. Conclusively, rather nodding the head on some myths like Google internally supports them who pay it, we should understand the fact and the way it actually goes. Google is a renowned search engine carrying the largest portion of the Internet market and constantly working on improving its results according to a user’s on page reactions. Human nature on the other hand also has become an attribute to be taken care of, because at some extent, it is playing a role in raising the Organic ranking of a page as well. Ashley Marsh is a senior content writer at Maan Softwares Inc. She has been writing for various companies for over four years on a variety of topics. Ashley specializes in technical writing with an emphasis in mobile development, web design, and technology trends. Ashley finds covering the tech world to be an exciting and engaging experience as each day brings new and groundbreaking technologies to explore and write about. When she's not writing about tech, she enjoys walking her two chihuahua-poodle mixes, Ginger and Pepper.